In this video, we learn how to make a VW beetle cake with buttercream. First, you will need to apply the buttercream icing onto the top of your cake and the sides. After this, you will pile on the other cakes to this with more icing inside of each layer. Then, you will start to cut the cake and it into the shape of the car that you want to make. Use an outline so you can follow it while you are making it so you know exactly how it is formed. Next, you will add in the parts for the wheels, then ice the entire cake. When you are finished icing, add more icing on top of that with all the colors. Decorate this how you like, then you will be finished with this unique and tasty VW Beetle cake, enjoy! 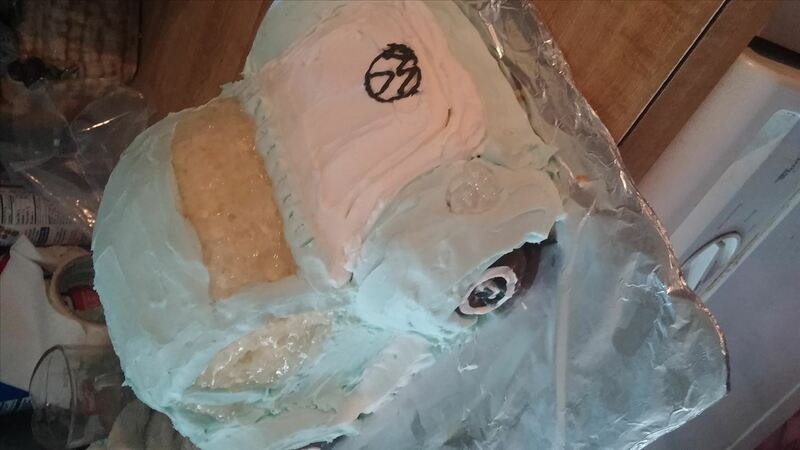 I made a VW cake and It only took me about 3 hours to carve and frost....It isn't as smooth as I would have liked but it looked great anyway..I used little chocolate donuts for the wheels.